Faugères one of the most individual appellations of the Languedoc. Although it produces white and rosé wines the appellation is most famous for its rich, ripe red wines made from the classic varieties Syrah, Grenache and Mourvedre. The Faugères wine appellation was created in 1982 and it is producing consistently excellent wines, the secret being in the steep hills surrounding the village of Faugères where the schist, or decayed slate, provides unique soil drainage and moisture retention and introduces distinctive minerality into the wine. The Mediterranean climate of long, hot summers and short cold winters is tempered by Faugères’ proximity to the coast to produce distinctive and elegant wines. Faugères is a compact vineyard compared to many of the other appellations of the Languedoc, but the variety is infinite, prompted by the human hand and the perceptible differences between the different villages. The white wine, which accounts for just 2% of the appellation, is a perfect example of the way the white wines of the Languedoc are developing and improving with every vintage, their wonderful herbal flavours conjuring up the scents of the herbs of the garrigue, fennel, bay and thyme. Pink Faugères, which accounts for 18% of the appellation, provides delicious refreshing drinking with acidity and delicate fruit. The wines of Faugères always have a distinctive freshness which places them amongst the finest of the Languedoc. Rosemary George’s Wines of Faugères is comprehensive guide to the wines of a remarkably compact and homogeneous area which covers just seven villages and a couple of hamlets. Wines of Faugères covers the history, geography and climate of the region, as well as its grape varieties and viticulture, before profiling the individual producers and their wines. It ends with an indispensable assessment of vintages going back to the creation of the appellation in 1982. 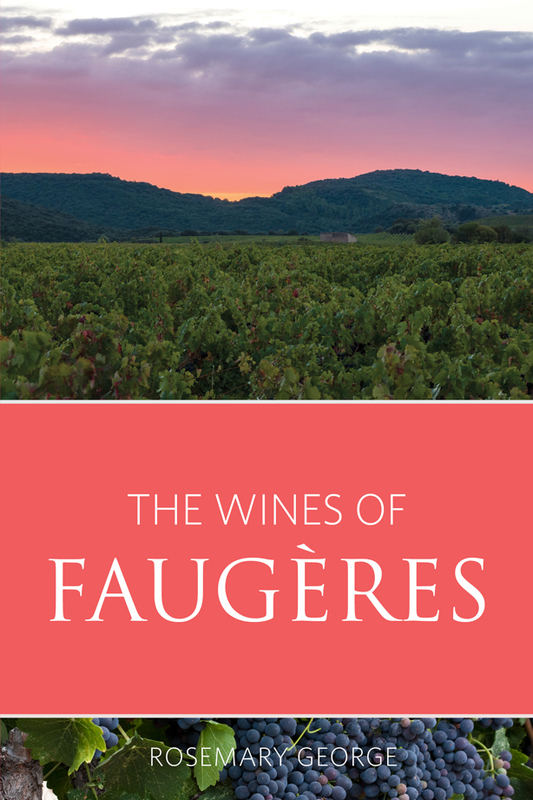 Faugères’ wines, currently little known outside of France, are set to become the next global wine discovery, and Rosemary George’s Wines of Faugères is the most up-to-date and authoritative guide to this beautiful region and its fascinating wines.